In the first article “Project Sustainability Strategies: A systematic Literature Review”, the authors, Wenche Aarseth, Tuomas Ahola, Kirsi Aaltonen, Andreas Økland and Bjørn Andersen (Norway/Sweden), explore the practices of integrating sustainability into projects and project management from two distinct perspectives: the project organisation and the host organisation. They identify eight distinct strategies in order to support their sustainability goals. In the article “Key Factors of Sustainability in Project Management Context: A Survey Exploring the Project Managers’ Perspective”, Mauro Martens and Marly M. Carvalho study how Brazilian project managers view sustainability in the context of projects. The study found that project managers interpret the Triple Bottom Line concept with? four factors: Environmental Policies and Resources Saving, Economic and Competitive Advantage, Stakeholders Management and Sustainable Innovation Business Model. The article “Critical Success Factors for Integration of Sustainability into Construction Project Management Practices in Developing Countries” by Saeed Banihashemi, Reza Hosseini, Hamed Golizadeh and Shankar Sankaran, looks at critical success factors for the integration of sustainability into project management practices of construction projects in developing countries. Their findings highlight the crucial role clients, knowledge and constructive relationships among stakeholders. 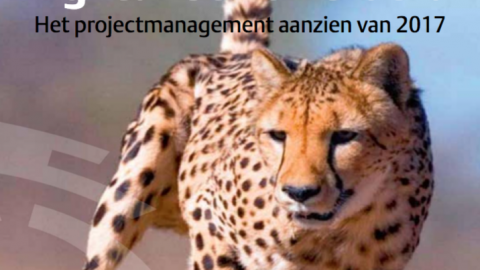 The article “Can project sustainability management impact project success? An empirical study applying a contingent approach”, by Marly M. Carvalho and Roque Rabechini, investigates the relation between considering sustainability in project management and project success. The study shows a significant and positive relation between sustainability and project success because of the reduction of negative social and environmental impacts. 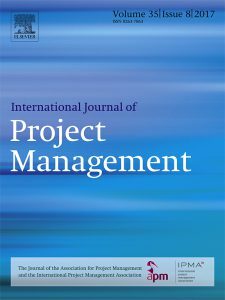 In the article “Considering Sustainability in Project Management Decision Making: An investigation using Q-methodology”, Gilbert Silvius, Martin Kampinga, Silvana Paniagua and Herman Mooi focus on the perspective of the project manager in integrating sustainability into the decision-making processes of project management. The study revealed four distinct perspectives on the consideration of sustainability principles, that the participants expressed. In the more industry-specific contributions, the article “Information System Project’s Sustainability Capability Levels”, Carl Marnewick from the University of Johannesburg, focuses on how information systems projects integrate sustainability considerations. 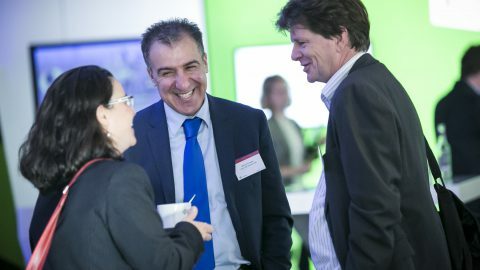 The survey-based study found a dominant focus on the economic dimension of sustainability, with a lack of integrating social and environmental sustainability in the participating IS projects. In the article “Sustainable project management through project control in infrastructure projects”, Jesse Kivilä, Miia Martinsuo and Lauri Vuorinen from Finland, identify the control practices that a project organization uses for sustainable project management. The study reveals that sustainable project management is implemented using a holistic control package in which control mechanisms are used differently for different sustainability dimensions. The organization and governance of infrastructure projects form the object of study in the article “Governing public-private partnerships for sustainability. An analysis of procurement and governance practices ” by Marlies Hueskes, Koen Verhoest and Thomas Block from Belgium. Theystudy how sustainability considerations can be incorporated in infrastructure projects through public private partnerships . The final article of the special issue, “Project Benefits Co-Creation: Shaping Sustainable Development Benefits”, by Lynn Keeys and Martina Huemann, presents an exploratory case study on how benefits realization management, together with stakeholder co-creation, can help to integrate sustainable development into project management.